England. 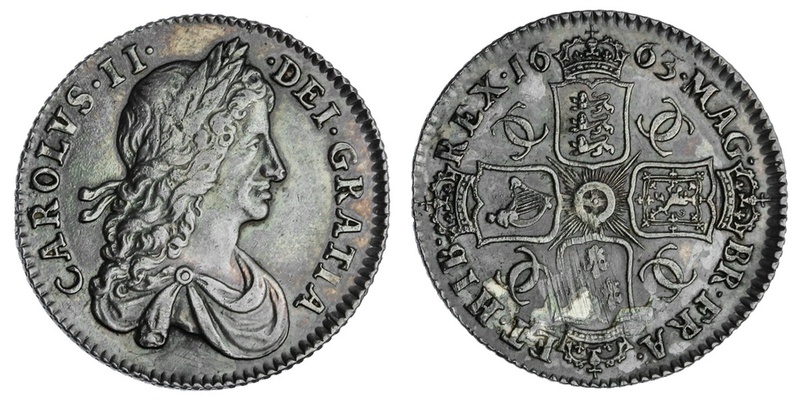 Charles II (1660-1685). Shilling, 1663. First draped bust right, rev. Crowned cruciform arms, CC monograms in angles, Garter at center. S.3371, ESC 1025, KM 418.2. Light adjustment marks (?) with flashing reverse. Deeply toned. Extremely Fine.